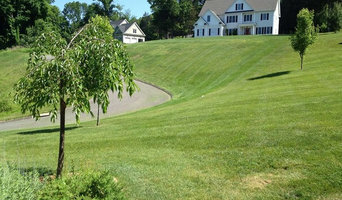 Landscape Restorations LLC is a premier full service landscaping services and property management firm based in Litchfield County, Connecticut and run by Arthur Volinski. Each project is managed on site by the owner ensuring quality, efficiency, and superior craftsmanship for every job. We create marvelous landscapes, making your vision of a perfect view become reality. We take care of all your outdoor landscape needs. We are a locally owned and operated company that values honesty and integrity and treats your property as if it were our own. We have many years of experience to give you confidence that we are your number one choice for your next outdoor project. You will find us to be competitively priced with close attention to the details. We look forward to building a lasting relationship and guarantee your satisfaction! Black Pines Landscaping Inc. was founded with one goal in mind - to provide a full range superior landscaping services, including Landscaping, Lawncare and Hardscaping, at affordable rates to the residents of Harrison. Our company has grown over the years from a two person operation into a full staff of professionals able to meet your every landscaping need. We are dedicated to building long term relationships with our clients by providing the highest standard of quality on each and every project we do. Our reputation for customer satisfaction in the Harrison area is what has made Black Pines Landscaping Inc. a household name in the industry. At Black Pines Landscaping Inc., we understand that the outdoor aesthetic of your home or business is as important as your interior. We have a team of experts that will consult with you to determine your exact needs. From landscape maintenance to new construction, our residential and commercial clients in Harrison know that when they call Black Pines Landscaping Inc. they will get the best. Contact us today for a free consultation and see the difference experience makes! Zaruma & Sons Landscaping Inc. If you look up a search for landscaping company in Westchester County NY, Zaruma and Sons Landscaping Inc will be in the top of your listing because we have worked hard and are constantly committed to delivering impeccable landscaping and concrete working to our customers in the nearby area. We are a company that prides itself into bringing several values into the formula of your project’s success, such as punctuality, responsibility, knowledgeable techniques and impeccable finishes. 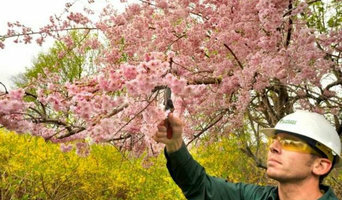 Our staff is trained to handle as your leading landscaping company in Westchester County NY : General landscaping, Lawn maintenance, Patio construction, Flower and gardening planting, Wood fencing, Pruning and lawn mowing services, Retaining walls, Concrete finishes and more! 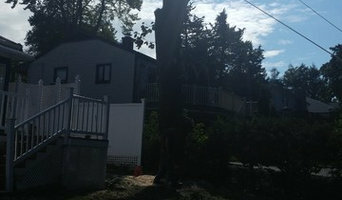 For over 20 years we have been one of the most outstanding landscaping company in Westchester County NY. We are knowledgeable and equipped to take care the many aspects that your landscape requires to look its fullest, greenest and healthiest shape. Our staff is more than trained to deliver only quality results that will prolong the life expectancy of your plants and other features inside your garden and landscape design. We make sure every item in your specification list is well executed and we also provided sufficient information and thorough examination of your soil, so we guarantee a great maintenance and growth of all the plants you want planted in your residential or commercial property. No job to big or small for our team at Zaruma and Sons Landscaping Inc! Every detail of your project will get done with excellence as a goal. We aim to keep our customers happy and satisfied with our handling of their landscaping necessities and maintenance. So contact us today, that we will lead your landscape into the best curb appeal as your top provider and Landscaping company in Westchester County NY. Nature's View Landscapes, LLC. is a full service landscape design / installation / maintenance company. We can provide you with a professionally designed and installed landscape that will bring you and your family years of pleasurable form and function. Our landscapes are a source of pride in their beauty and intelligence due to a combination of attention to artistic detail and technical expertise in horticulture. It would be our pleasure to have the opportunity to explore with you the multitude of possibilities available to enhance your outdoor living environment. Have a beautiful new landscape created for your home or office. TPC Landscape Design Inc., in River Edge, New Jersey, offers residential and commercial landscape design and construction services. We build landscapes to your specifications. We understand how valuable your time is, which is why we start your project when agreed upon and finish in a timely manner. We guarantee it! If you have any questions or concerns, do not hesitate to contact us. 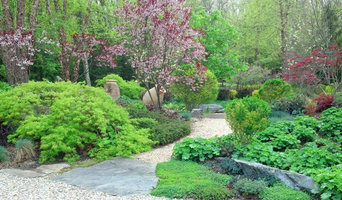 TPC Landscape Design Inc., has more than 25 years of experience in landscape design and construction. Our goal is to provide you with the best possible service for all your landscaping needs. Our company strives to exceed all your expectations. RC Landscape Inc. is a family owned and operated landscaper in Mamaroneck, NY serving Westchester County, White Plains and surrounding areas for over 30 years. We are a third generation business which started with our grandfather Pantaleo Capparelli. William and Roberto Capparelli joined the company after receiving degrees in Civil Engineering. Whatever your needs may be, we work very closely with landscape architects to fulfill and provide each property with your own unique distinct look and design. Call 914-630-2155 today for a personal consultation! Landscape Design Landscape Maintenance Landscape Construction At RC Landscape Inc., we offer a wide variety of landscaping services to meet every client's specific needs. Trust our professionals to enhance your curb appeal with an outdoor kitchen, paved driveway, retaining wall, water feature, masonry work, brick patios and walkways, gardening, fire pits and more. If you are looking for a reputable landscaping contractor in Mamaroneck, Westchester County, or White Plains, NY, call our experts at RC Landscape Inc. We are dedicated to providing top quality lawn care services. Whether you need lawn mowing, flower bed maintenance or patio installation services, call today! For more than 18 years, our licensed and insured professionals have provided comprehensive service to both residential and commercial clients. If you need help with that high tree on the edge of your yard, our bucket truck is ready. Do you need help trimming the shrubs in from of your business? That's no problem either! Call us today for a FREE estimate on the services you need. Now is the perfect time to call for reliable service. With our 24-hour emergency services, you can get back to having a beautiful yard in no time. Let us protect your building's roof and overall integrity by removing fallen trees and branches. Established in 2009, Gamboa Landscaping, LLC has a long lasting reputation of serving the residential and commercial needs of Sussex, Morris, and Warren Counties of New Jersey. We are a hardscaping design and build company offering a wide-range of services, specializing in all types of paver work, natural stone, and turning your dreams into a reality. Gamboa Landscaping, LLC has built its reputation on superior craftsmanship, creativity, and word-of-mouth from our customers. From walkways to driveways, patios to fire-pits, retaining walls to outdoor kitchen builds, we do it all. Each design is unique and tailored to fit your style and your budget. Nature’s Choice Lawn Care provides quality and organic landscape maintenance services to residential and commercial properties. We are committed to enhancing your property with products that are an environmentally safe alternative to the harsh chemicals found in standard lawn care products. With nearly 30 years of experience in the lawn care business, our landscape professionals and the work that they do, are of the utmost quality. We take pride in the work that we do and the safe products that we use. 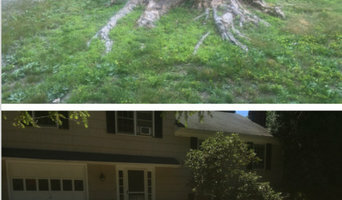 Nature’s Choice Lawn Care provides services to Fairfield County, Connecticut including Trumbull, Fairfield, Westport, Easton, Monroe, Newtown, Shelton and Stratford, Connecticut.